Know It Wall has been announced as a Summer of Student Innovation winner, bagging £10,000 in funds to further develop their idea in collaboration with Jisc. On 23 August, seven of the 15 Summer of Student Innovation ‘Student Ideas’ first round winners beat the competition to secure further funding and support from Jisc to develop their ideas into real products ready for market. Following a four day Jisc run ‘design sprint’ in Birmingham, the student teams went head to head to persuade the judges in a Dragon’s Den style pitch, and we are proud to announce that Know It Wall came out on top! Know It Wall aims to make current academic research accessible to the intellectually curious public through the use of text and high quality audio-visual content. So far the team have produced 18 episodes on topics ranging from human memory to the discovery of the Higgs Boson. Team Know It Wall is planning to spend the prize money on producing video content and the development of additional features to the website. Feeling curious? Dip right in at http://knowitwall.com ! The Summer of Student Innovation is in its fourth year and is managed by Jisc. More information is available at https://www.jisc.ac.uk/student-innovation. 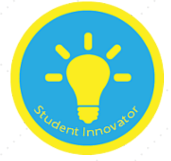 Have you got students with an innovative edtech idea? Digital Education Futures can provide support and mentorship. The thing we love most in Digital Education is working with our students, hearing their ideas and seeing what they can achieve. The UCLU Technology Society recently approached us about an API for accessing information at UCL – what is available now and what more could be made available in the future. It’s a difficult question, as we don’t own most of the data we process and don’t have the right to just make it available. But with the UK topping the Open Data Barometer, it’s such to be a question we will have to face. The leaders in this field in the UK are Southampton and Oxford. Four members of TechSoc and myself recently visited Ash Smith and Chris Gutteridge at Southampton, who have done tons of work in opening up university data – everything from buildings to catering. The TechSoc have written up the visit as a blog post, so I’ll do no more other than link to their report of the visit. E-Learning Environments (ELE) is launching a pilot that gives students the opportunity to write short review blog posts and get them published on a UCL blog page. We’d like to hear from any students and staff interested in taking part. The idea is that students review clips or programmes of online resources that are relevant to their studies. These might be TV or radio programmes from BoB (Box of Broadcasts), Lynda.com courses, TED Talks, Khan Academy resources, YouTube videos or any other online resource that may be of interest to others at UCL. Staff might even use these resources in class and link to them from their Moodle courses. Staff can also help to tag the posts with keywords relevant to the topics they are teaching. Don’t worry if you have never written a blog before. ELE will provide you technical support and training on how to write for the web will be provided via Lynda.com and the ‘Writing for the Web’ course. We’d also like to include student reviews of apps to form the ‘My Favourite Apps’ pages. We think with so many apps around it would be really good to share what people at UCL are using, and why and how they are being used. By answering some simple questions, you can write a (really) short review of an app you are using and tell us why you are using it – maybe it has improved your life, helped your learning or saved you money. People can vote and winners of ‘My Favourite App’ will have their review posted on a digital postcard on the front page of UCL Moodle. Students can be recognised for this work with HEAR (Higher Education Academic Report) for your blogging (you’ll need to meet the criteria). The HEAR is an electronic transcript of verified academic and non-degree related achievements attached to students record. See the UCL HEAR Information for Students. Students could also use this work to form a project for gaining a Jisc ‘Institutional Change Leader’ (ICL) award, accredited by the Staff and Educational Development Association (SEDA). If you are interested in being involved, please complete the form at the bottom of this page. Examples of similar programmes being run at other universities and colleges are available in Jess Gramp’s blog posts ‘On the Box‘ and ‘GC Student innovators‘. The first post is up and was written by 3rd year UCL Department of English student Ellie Pearce. In the blog called ‘Bentham Returns’ Ellie imagines Jeremy Bentham waking up in the middle of the festival ‘to celebrate all things digital’ UCL digifest which took place in Nov 2014. She has really captured the spirit of JB and we’re sure you’ll be inspired to get working on your own first review and hunting down clips, programmes and library resources. We’re aiming to build a rich archive of film, programme and clip resources in which can be accessed used and added to, over time. At the University of Leicester students are helping to find TV and radio clips that help students learn. 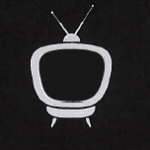 Those involved in this programme review clips or entire episodes available via Box of Broadcasts. The Box of Broadcasts (BoB) service is available to UCL staff and students and allows them to view shows recorded from free to air channels, including everything broadcast on the BBC (TV and radio) since 2007 (800,000+ programmes). Programmes aired in the last 30 days can be recorded by an user and then remain available to anyone else who wants to access them. At the University of Leicester students are helping integrate these resources into their modules, by blogging reviews for others to read and comment on. There are also plans to develop viewing lists of useful programmes for particular subjects. Each blog post is tagged with relevant keywords to make it easier for others to find relevant resources. Staff involved in the pilot also link to the blog from their online course pages. Students at Leicester received training and support in writing for the web and were also paid for their contributions once they blogged a minimum of 5 posts. The first example above (Biology on the Box) was run with tutors amending the tags on the 50 posts to fit with their teaching. Subsequently, these are better tagged than the posts in the English on the Box, where students led the entire process, including tagging. For ‘English on the Box’, 4 students contributed 35 posts and half of these were radio programmes. These students explained that they found it difficult to tag the posts with accurate keywords that were relevant to their modules, therefore it is important to involve the module tutors in this process. Students who participated improved their written communication skills and developed their digital footprint, which will help them to demonstrate their skills to future employers. Students used knowledge obtained from these media clips within their exam answers, so it had a positive impact on their learning. Academic staff could easily incorporate rich media into their modules. This project was presented at the recent ALT-C conference in Manchester, UK. UCL is developing a similar, student-led project and is calling for both staff and students to take part. 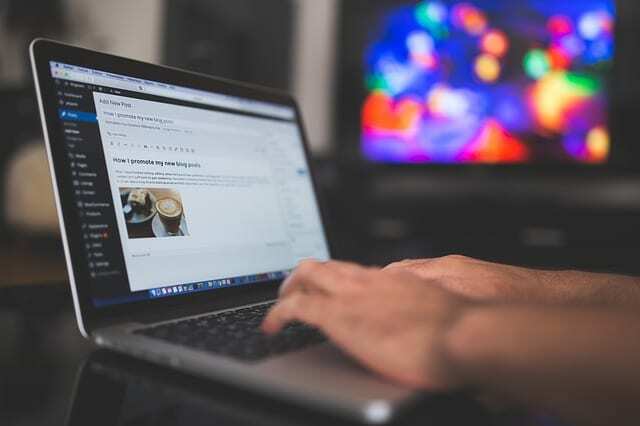 We need students to volunteer to become bloggers and approach their tutors to incorporate their blog posts into their Moodle courses – E-Learning Environments can help with the technicalities. We need tutors to volunteer to promote this to their student; incorporate the ‘viewing lists’ into their Moodle courses and help with tagging. Gloucestershire College are crowd sourcing students to lead on important change projects across the college. One of these projects is the student innovators blog, where students review apps. The aim of this project is to get more people at the college using and talking about technology to support learning and to build the technical skills of the students involved. What was good about this tool? What was bad about this tool? Note: I would probably also add to this, which platforms the app is available on. E.g. Android, iOS, Windows, Mac, Linux etc. Once the posts are published on the blog, people can ask questions and post comments. The commenting feature logs people in using their Google account by default. However, people can select from a number of other online services to log in as, including WordPress, OpenID or AIM. This provides some protection from spam and other misuse, since it only allows registered users to post comments to the blog. During term time, the college selects an ‘ App of the week’ by seeing which post has had the most views, and is therefore the most popular with students. As part of the blogging process, students design a ‘card’ promoting the app, which is then used to advertise the ‘App of the week’ on the homepage of the college Virtual Learning Environment. However, students mentioned they would have participated regardless of these, since the learnt a lot in the process. Participants gained confidence in writing and practice writing for the web. Participants built their digital footprint, which can help them demonstrate their skills to potential employers. College students could see what apps other students recommended and why. Anyone could post questions and comments, hence starting conversations around using technology to support learning. We need students to volunteer to become app reviewers and bloggers. We need tutors to volunteer to promote this to their student; link to relevant app reviews into their Moodle courses and help with tagging.